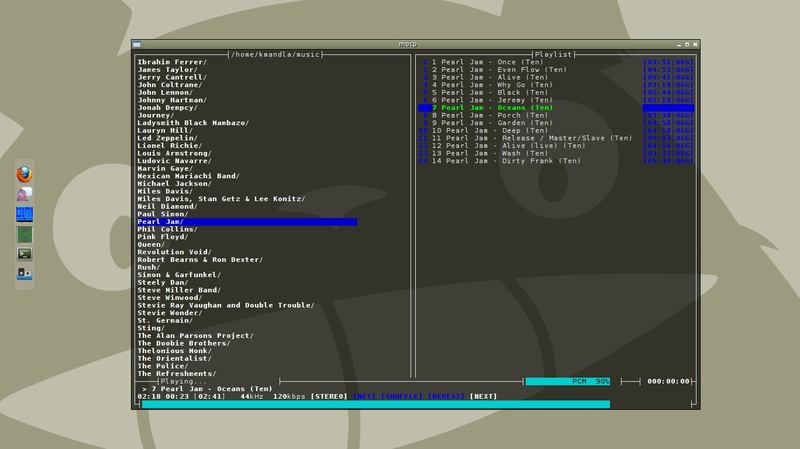 I think I have exhausted my list of music players and audio clients, within practical terms. Between the magic of Open Cubic Player and the sparsity of mpc and the flair of camp, I think most everything has been covered. moc has been the house standby for years now, ever since cplay left the building and up until ocp burst onto the scene. I won’t belabor the topic by drooling over moc again. Suffice to say it has all the high points of all the applications I’ve seen for the past 10 days or so. This entry was posted in Linux and tagged audio, client, music, player on 2013/08/04 by K.Mandla. It’s a wrapper script for the likes of ogg123, mpg123, mpg321 or the mighty mplayer. hey, I’ve loved reading up on all the different music players, wrappers, daemons, clients, and utilities! would you consider doing a write-up comparing them all in one post?